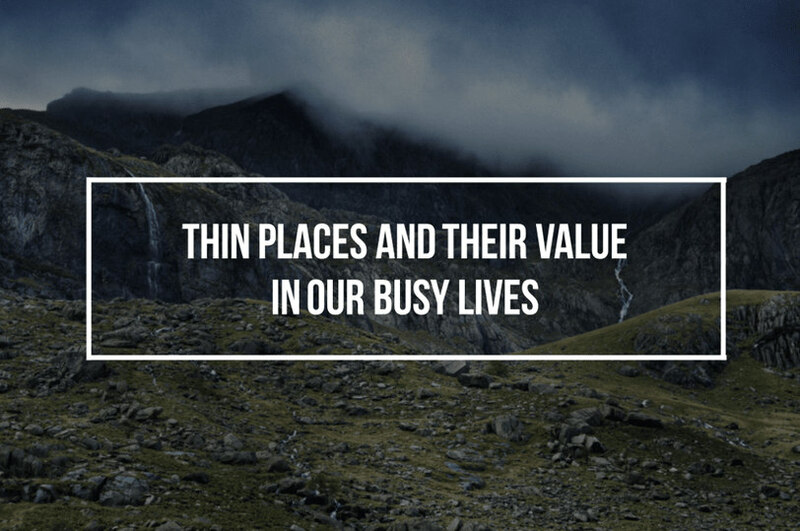 Last week I wrote about thin places and their importance inour busy lives. 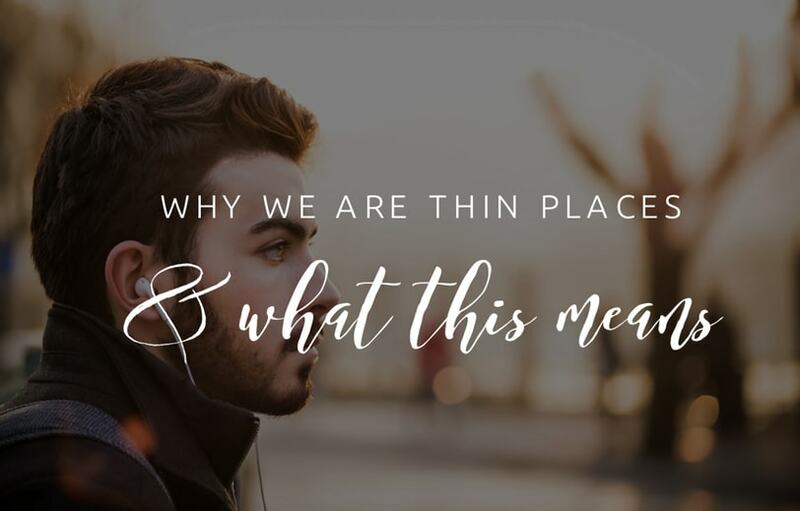 So often we associate thin places with physical space, so I want to write a post about people as thin places, specifically us. It starts with Christ. If thin places are about bridges between heaven and earth, where the divine feels more tangible, then Christ is the ultimate thin place, the ultimate conduit for the glory and presence of God. In ancient Israel, the priesthood acted as the go-between for God and His people. It was the priests who performed the ritual sacrifices, and the priests who entered the holy of holies in the temple where God’s presence dwelt. The writer of the book of Hebrews calls Jesus our High Priest. When Christ died Matthew records that the curtain in the temple, separating the holy of holies from all else, was torn in two. Jesus is now the new mediator, the new thin place. I live in a valley. I often make time to walk to the top of the valley, onto the hill. The wind stinging my eyes and ringing my ears, I look out across the whole valley. I see patches of sun breaking through the clouds illuminating fields and houses. I see a mass of rain falling on a patch of heather in the distance. In this moment I gain a heightened sense of perspective about my place within reality. I gain a heightened sense of self spatially as I realise just how small I am. But I also gain a heightened sense of self temporally, about my time on earth. This valley and hills were here long before I was, and will be there long after I am gone. In this moment I am drawn close to God, seeing my life spread out before Him, I recognise that I am held in His hands, kept at bay from ultimate chaos. Satyagraha, loosely translated “truth & firmness” or “holding firmly to truth”, is the non-violent method of direct action developed by Mahatma Gandhi. As a Christian I find so much truth in the model of Satyagraha. This is unsurprising as Gandhi was heavily influenced by LeoTolstoy, himself a follower of Christ (Gandhi corresponded with Tolstoy via letter and read his works) and by Jesus (Gandhi regularly read the Gospels, particularly the sermon on the mount). It also explains why people like Dr Martin Luther King Jr were so inspired by Gandhi's work. 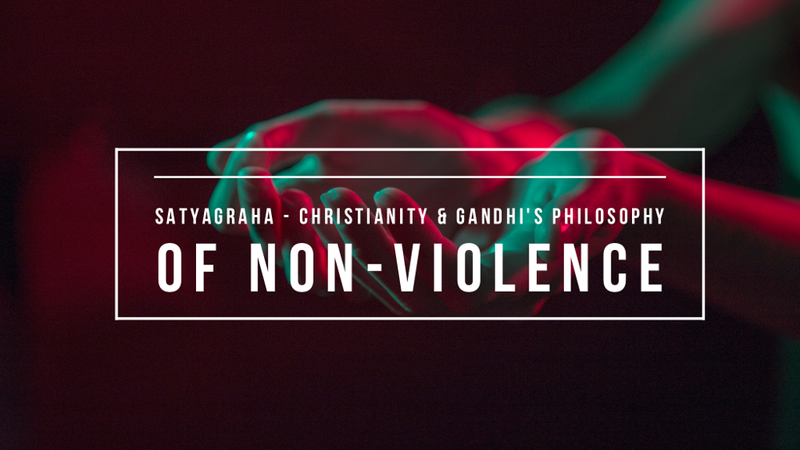 The philosophy of Satyagraha holds to two different distinctions with regards to force, these are physical force (violence) and soul force (non-violenct direct action). The basic principle is that each person is inherently good. This inherent goodness becomes marred through life experiences and choices that shape us and this goodness becomes less and less, but a small piece of this goodness always resides.